These bourbon-loving cowboys have made their bar/restaurant an approachable blend of country music attitude, Southern and SoCal cuisine, and more of that firewater. 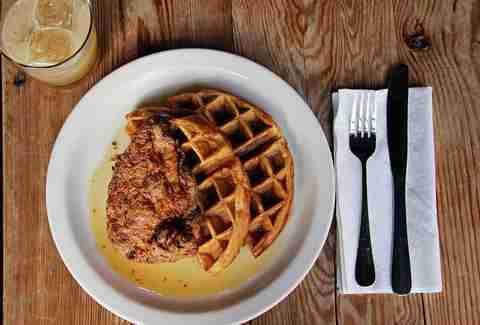 Their pan-fried chicken and house-made waffles are predictably good and necessary, whether for that wake-up brunch or late at night. 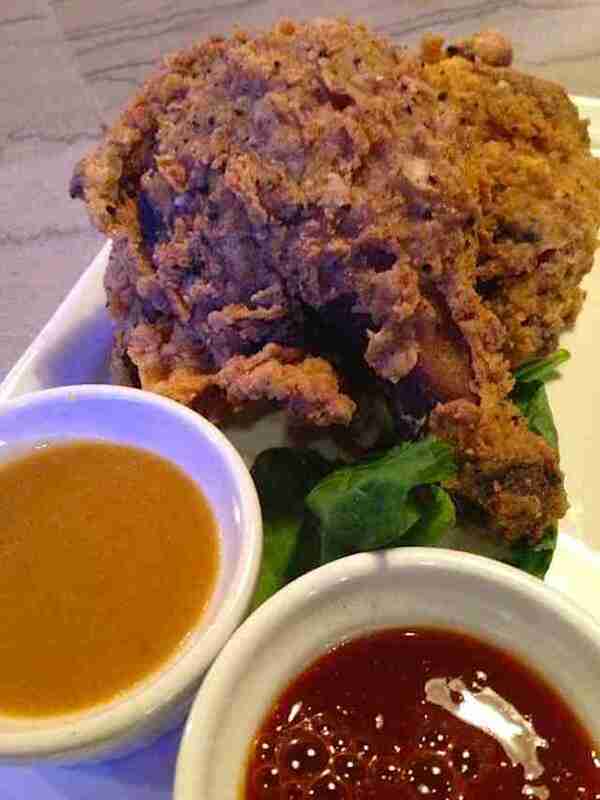 This local leader of the farm-to-table scene sources most of its ingredients from within 100 miles, so this crispy, tender offering is both good and good for the local economy. Currently on the menu: a Southern-fried chicken confit sandwich on a pretzel hoagie. This hotel-backed resto (Hyatt Regency) tries harder than anyone might expect to provide quality food and a distinct point of view. 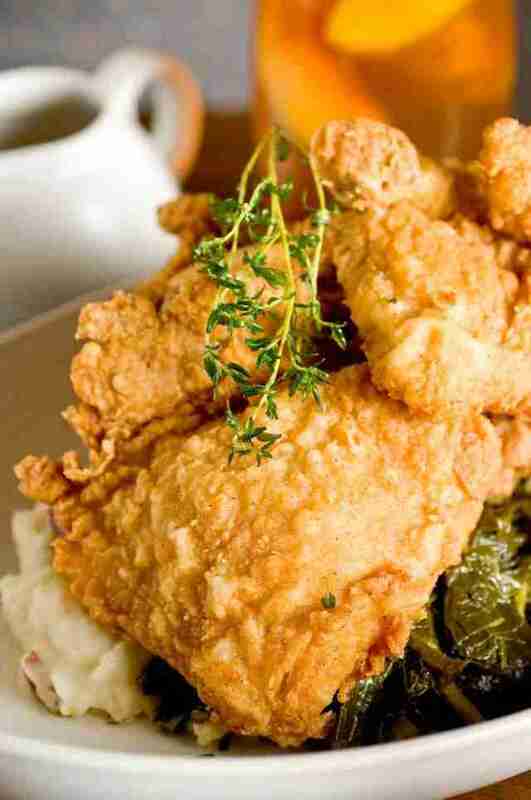 The name Sway is short for “Southern way”, and they call their Southern Fried Chicken their signature dish, with Southern greens and natural gravy listed alongside the creamy mashed potatoes on the plate. So if you’re going to expense it, go for something special. 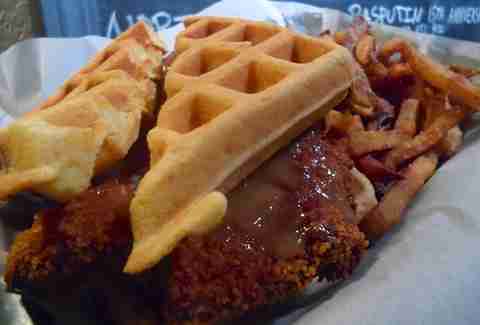 Today’s Louisvillian is much more likely to say “Four Pegs” when asked to name their favorite local chicken dish, and specifically, it’s their chicken and waffles that bring in the ravenous customers. They weren’t first, or last, but there’s something special about their version that grabs you and kisses you all over. The homey pub atmosphere probably helps, but it still can’t explain the chemistry of why Four Pegs does this so... right. 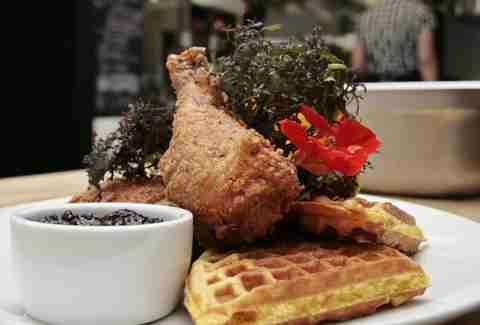 The fried chicken and waffles at this Top Chef’s Southern-American-meets-Asian-comfort restaurant may be the prettiest, and they’re also among the tastiest. 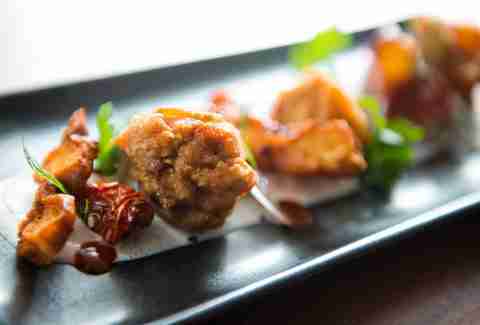 Chef/owner Edward Lee and his team are true artists, always pushing forward to elevate the simplest ingredients into something extraordinary. Their poetic menu is full of other down-home favorites from surprising places. 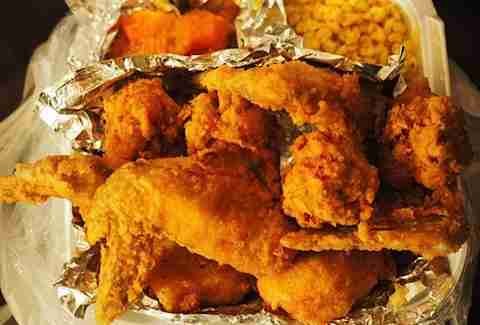 At the same time, many Louisvillians today would tell you that their nearby Indi’s has the best chicken in town today, and few would disagree. 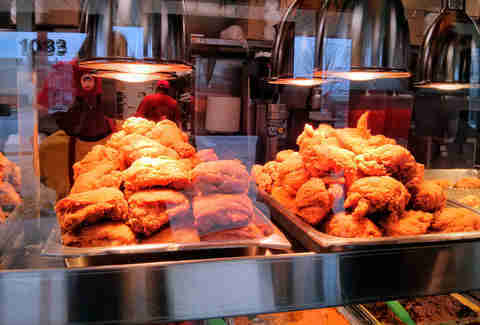 This local mini-chain is fast food, but will never challenge KFC because the quality, vibe, and even the graphics offer something timeless and satisfying that goes against all the rules of fast-food chains elsewhere. Home cooking at its finest -- now in her 26th year, Shirley Mae and Chef/daughter Theresa continue to make everything by hand daily. It’s like going home for the holidays any time you need it (and without all that heated political debate!). Save space, too, for a side of Shirley Mae’s Hot Water Cornbread and one or two of Theresa’s desserts. Posted on their Facebook recently: “First coated with honey and select blend of spices, slow cooked on our rotisserie for 5 hours, then cut to specific order, soaked in buttermilk, dredged in seasoned flower, and flash fried. 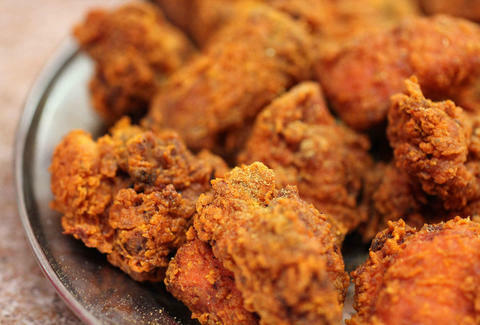 Perfect fried chicken!!" Not only does that communicate the dedicated prep work that goes into their delicious fowl, but it also gives you a taste of their enthusiasm for the stuff. Plus, they're soon going to be frying it in bacon fat.